YATES SECURITY provides integrated security solutions, incorporating sophisticated monitoring and alarm systems linking to our Security Control Centre. We provide 24×7 monitoring and direct links to our fleet of patrol vehicles and guards and to emergency services. 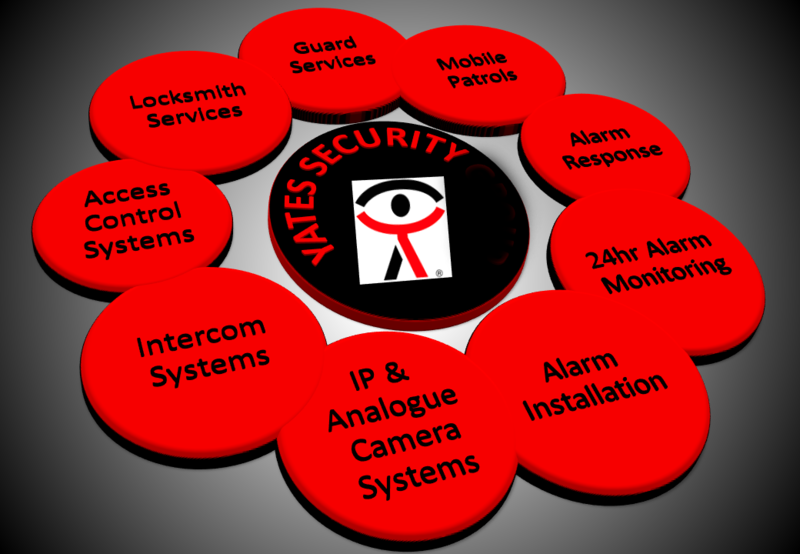 YATES SECURITY – specialising in integrated security solutions for all types of businesses – retail, commercial, high-rise, government office blocks, shopping centres, factories, warehouses, mines. provide business continuity, therefore protecting your revenues. YATES SECURITY can tailor a system that best suits your needs. We have over 100 years of experience in the security industry in Sydney. We will tailor a solution that meets your protection needs and your budget.